The House Natural Resources Committee met Wednesday to debate a number of bills related to wilderness protection and energy issues. Among these bills were Congressman Doug Lamborn’s H.R. 1965 and Representative Scott Tipton’s H.R. 1394. Rep. Lamborn’s bill mandates leasing quotas for oil and gas companies, encourages speculation, and bars the public, local officials and others from protesting potentially dangerous leasing decisions. It also endangers western water supplies and local economies by encouraging reckless oil shale speculation on public lands. Rep. Tipton’s bill essentially establishes energy development as the primary use of public lands. This would jeopardize the billion-dollar outdoor recreation and tourism industries, as well as the hundreds of thousands of Western jobs they create. These bills have already faced outcry from Westerners who use these endangered public lands. 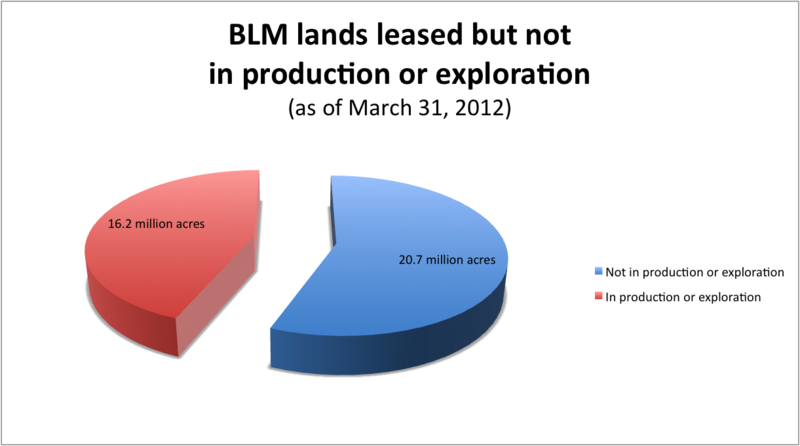 Sportsmen for Responsible Energy Development noted that it is senseless to make more land available when the oil and gas industry already has more than 7,000 unused drilling permits. It was reported this week that more than 2,000 gallons of benzene contaminated water spilled from a well south of New Castle earlier this month. In another incident, a malfunctioning well sprayed gas and oil nearly 1,000 feet onto a neighboring farmer’s field. 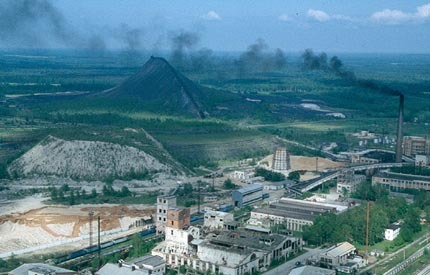 These incidents highlight the risks involved in fossil fuel development and demonstrate the need for this development to be properly regulated. In the last legislative session, Governor Hickenlooper stalled bills that would have increased the number of well inspectors in the state and increased fines for companies who were negligent. This week’s news should raise further questions about who Governor Hickenlooper is working for, Coloradans, or oil and gas companies. The Western Energy Alliance (WEA) and the Independent Petroleum Association of America (IPAA) released a faulty analysis of the proposed Department of the Interior fracking rule. It overestimates the annual cost of the rule by over $310 million. John Dunham & Associates, the firm that completed the study, claims that the proposed rule would cost companies $345 million annually. But, the firm arrived at this figure by misrepresenting the report in a way that inflates costs nearly ten-fold. The report makes assumptions about a rule that wouldn’t actually apply to gas drilling and uses that misapplication to grossly inflate the costs of the proposed rule. The state of Wyoming is in the process of requiring baseline testing of groundwater for areas where drilling of oil and gas would take place. As the state decides how the testing will proceed, landowners want to ensure that there are the proper accountability measures included in these rules so that oil and gas companies who do contaminate ground water are punished for violations. The U.S. House Natural Resources Committee meets on Wednesday to mark up a slew of bills, and sandwiched in among them are a familiar series of giveaways to the multibillion-dollar oil and gas industry. In fact, the legislation would mandate leasing quotas for oil companies and increase speculation on public lands. Wednesday’s hearing continues the determination by House Republicans, over the last five years, to put the interests of oil and gas companies ahead of conservation and the future of America’s public lands. This, despite the fact that a majority of Westerners in oil and gas producing states want to see a balance struck between energy development and protection of public lands. The Lamborn bill blocks the public from participating in leasing decisions by creating “entrance fees” of up to $5,000 to join the conversation. It also mandates leasing quotas for oil and gas companies, encourages speculation, and bars the public, local officials and others from protesting potentially dangerous leasing decisions. The Lamborn bill prevents the Bureau of Land Management (BLM) from protecting water, air and land from the impacts of drilling. It also rolls back the Obama Administration’s common sense approach to the failed “rock that burns,” oil shale, and in doing so endangers western water supplies and local economies. The Lamborn bill continues to promote oil shale speculation despite the fact a Congressional Budget Office analysis of his proposal during the previous Congress found that opening up public lands to oil shale speculation would have zero effect on revenue. The Tipton bill essentially establishes energy development (especially oil and gas and other polluting fossil fuels) as the primary use of public lands, jeopardizing the billion-dollar outdoor recreation and tourism industries and the hundreds of thousands of western jobs they create. It also requires the Department of Interior to prioritize oil, gas and coal over renewable energy development. About two in three (65%) voters say that permanently protecting and conserving public lands for future generations is very important to them personally, and another 63% say that ensuring access to public lands for recreation activities is personally important to them (as indicated by a rating of “9” or “10” on a zero-to-10 scale). By comparison, only half as many voters (30%) say the same about making sure oil and gas resources on public lands are available for development. Voters reject the idea that there must be a single-minded, “either/or” approach to public lands. When explicitly given the opportunity to choose a third option, a majority (55%) instead say the government should put conservation on equal ground with drilling for oil and gas. This is the case among independents (59%), Republicans (64%), hunters and anglers (57%), and even among people who rate oil and gas as very important to them personally (57%). Democrats, in contrast, are divided between putting drilling and conservation on equal ground (44%) and focusing more on conservation and protection (47%). House Republicans paraded out their latest series of giveaways to the billion-dollar oil and gas industry today in a subcommittee chaired by Rep. Doug Lamborn (R-CO). The bills would increase corporate welfare and a total disregard for western families and the economic health of local communities. 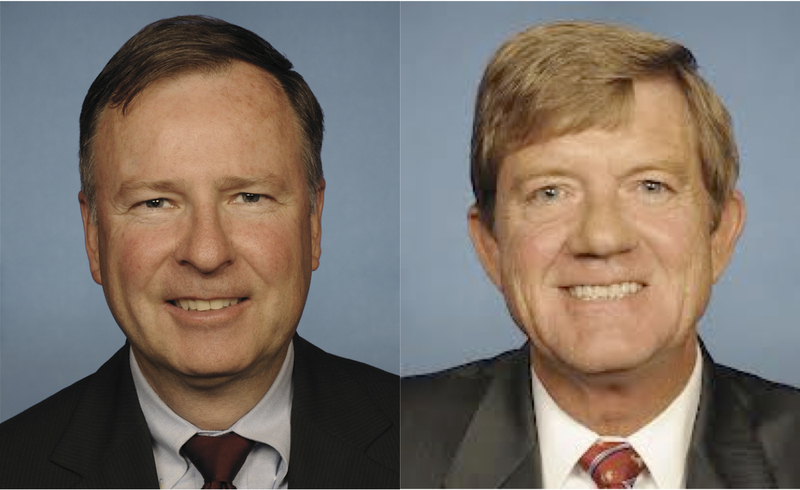 These reckless proposals put forth by Reps. Lamborn, Scott Tipton (R-CO), and Doc Hastings (R-WA) have failed over and over again in Congress because Americans want more out of their representatives than messaging bills for the oil and gas industry. At a time when oil and gas companies are already getting fat on the taxpayers’ dime, it’s appalling that politicians are dishing up yet another industry smorgasbord with zero regard for Western families’ safety and security. Westerners want a real balance between protecting public lands and energy development. That balance is critical for attracting high-wage businesses and maintaining the billion-dollar outdoor recreation economy in the West. The three tired bills paraded out yet again today include extreme measures that create quotas and mandates on behalf of oil and gas companies, and encourage risky speculation on publicly owned lands. These reckless proposals would sacrifice our drinking water, air quality, and public lands just to create more handouts that would do nothing to address our energy concerns. These reckless measures run counter to western values and what’s best for local economies. Recent polling found that 9 out of 10 Westerners agree that national parks, forests, monuments and wildlife areas are an essential part of the economy, while 74% believe that national parks, forests, and monuments, help to attract high quality employers and good jobs to their state. The outdoor recreation industry alone accounts for $646 billion in annual spending, 6 million jobs and nearly $80 billion in local, state and federal taxes. Yet, House Republicans continue to push these same reckless proposals, regardless of the potentially devastating impacts to western families and economies – in order to provide more handouts to the billion dollar oil and gas industry which is already hoarding millions of acres of public lands, billions in taxpayer-funded subsidies and is focused on drilling on non-federal lands, where the best and most profitable oil resources are located. Reps Lamborn, Tipton and Hastings, need to be held accountable for blatant disregard of taxpayer money and their continued attempts to increase corporate welfare for oil and gas companies. Block the public from participating in oil and gas leasing decisions by creating “entrance fees” of up to $5,000 to join the conversation. Mandate leasing and encourage costly oil shale speculation that has a century-long track record of failure despite billions in taxpayer-funded subsidies. Roll back the Obama Administration’s common sense approach to the failed “rock that burns,” oil shale, which would put already scarce western water at risk. Establish energy development – especially fossil fuels – as the primary use of public lands, jeopardizing the billion-dollar outdoor recreation and tourism industries and the thousands of western jobs that they create. Require the Department of Interior to prioritize oil, gas and coal over renewable energy development. Fast track approval of drilling permits, roads and pipelines in the National Petroleum Reserve (NPR-A) in Alaska, regardless of potential environmental impacts. Eliminate the “integrated activity plan” for NPR-A that balances energy development with protection of wildlife habitat and other critical areas. The American Petroleum Institute (API) – see: Big Oil – called on President Obama, today, to double down on a century of failed oil shale experiments and risk western water supplies. API’s response to outgoing Interior Sec. Ken Salazar’s smart oil shale plan was shameless, but predictable (for more on the Salazar Plan, see articles in the SL Tribune, Denver Business Journal and an editorial in the Grand Junction Daily Sentinel). Sec. Salazar adopted a reasonable approach that requires oil companies to prove any oil shale technology they might develop is commercially viable and won’t devastate water resources and air quality in the West. The Government Accounting Office and industry experts have said oil shale could use up to 140 percent of what Denver Water provides its customers, today. It turns out that common sense and good business practice aren’t slowing down API’s insatiable lust for taxpayer handouts. API wants to double down on 100 plus years of abject oil shale failure, despite the huge risks to the West’s scarce water supplies. Erik Milito, API’s director of upstream and industry operations, claims that ensuring the safety of western water might delay investment in the development of oil shale technology. He ignores the fact that oil shale speculators have failed for over a century to develop any such technology, despite the billions in taxpayer subsidies – and private investments – already risked. Western families, farmers, ranchers and business owners, already in year two of the worst drought in a decade, can’t afford to have any more of their water risked on costly oil shale speculation. We need President Obama to put the security and safety of the West’s water and communities before Big Oil’s hunger for more taxpayer handouts.